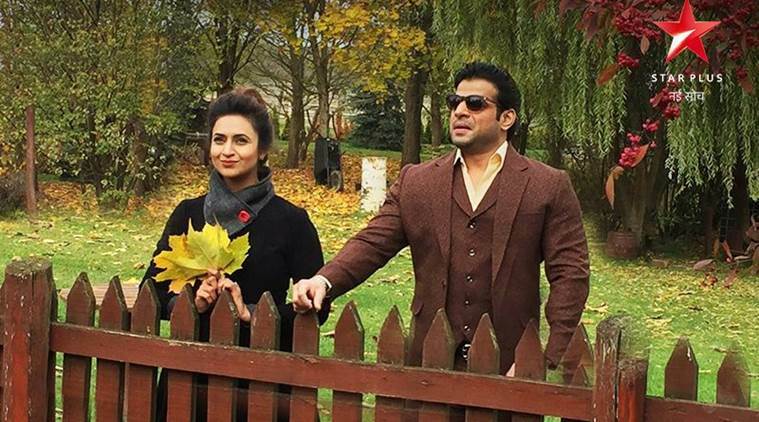 Yeh Hai Mohabbatein Stunning twists: Yug also faints when he attempts to faint Ishita. Ranbir makes Yug conscious. He asks Yug to stop Ishita from regaining consciousness. Ishita can’t believe that Adi is in front of her, since she had shot him with her hands. She wonders how her senses are playing with her. She emotionally connects with Yug. He apologizes to her and makes her unconsciousness. Raman gets worried about Ishita. He feels he has lost Ishita twice. He doesn’t know how will he find out Ishita. Ruhi and Aaliya pacify him. They are sure that they will find news about Ishita. Yug gets to see Raman’s appeal on the news channel. He tells Ranbir that they should hand over Ishita and get the money from Raman. He doesn’t want to refuse to a good opportunity. Ishita gets to see Yug and learns about him. His friend doesn’t agree, since they have kidnapped Ishita just for Rohan’s sake. They think they shouldn’t betray Ranbir and Rohan. Yug wants his life to change into good. He wants to fulfill his dreams. He tells his dreams to his friend. Yug wants to somehow protect Ishita and make her reach home. Ishita wants to know why did the guys save her. She misses Adi and wonders if he is Adi. She recalls how she has seen Adi’s final rites happening. She is sure that Adi can never return to them. She understands that Yug is Adi’s look alike. Ishita wants to inform Raman about her whereabouts. She doesn’t understand who has asked Ranbir to kidnap her and shift her to a safe place. Meanwhile, Sudha wants to protect her sons. She wants the lawyer to make the divorce papers and get the papers signed by Aaliya and Ruhi. She doesn’t think she should give more time to Bhallas. Lawyer suggests her to have patience and wait for Bhallas to release her sons. Sudha doesn’t want her sons to live with Bhallas. Yug spies on Ishita and finds her sleeping. He makes a plan to contact Raman. He calls Raman and tells him that he has Ishita with him. He agrees to give him information about Ishita. He asks Raman to bring money for him. Raman agrees to all his conditions, unaware that Yug resembles Adi. Raman goes to meet Yug. How will Raman react on seeing Yug? Keep reading.